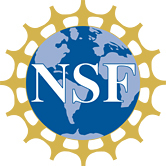 Dr. Tameka Clemons, Assistant Professor of Biochemistry, has received a 3-year grant from The National Science Foundation in the amount of $299,731 for her project entitled “Probing inter-compartmental cross-talk between redox and amylin signaling networks”. The main goal of this research project is to understand the relationship between proteins secreted from the beta-cell and oxygen radical formation. The understanding of the relationship between these proteins and oxygen radicals will help further the understanding of how to keep radicals from forming, which will help keep cells healthy. In addition, this project will allow students to participate in cutting edge discoveries in Biochemistry, as well as have students engage younger students in science by presenting scientific data at science events geared toward youth.